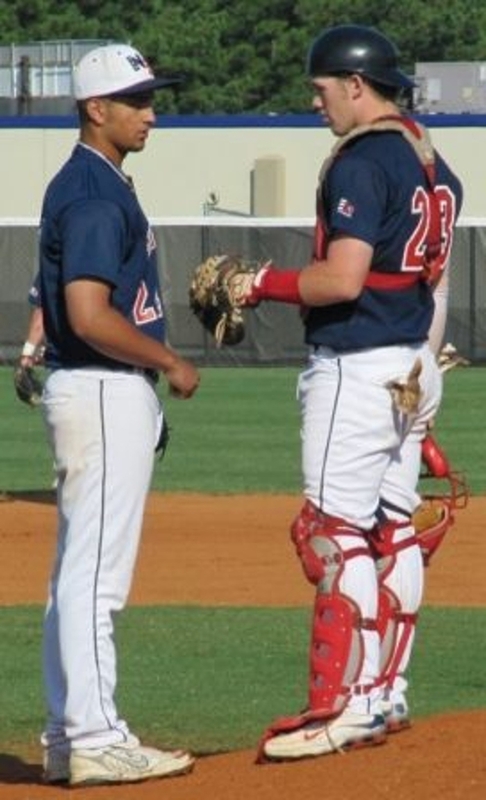 Catcher Chris King of Portsmouth HS in Rhode Island is the second North East Baseball player to be named to the Under Armour Pre Season All American team. Chris spent the 2009 summer playing with the North East Mudhens and has accepted a baseball scholorship to Coastal Carolina for the fall of 2010. Chris decided last winter that he was serious about making it to the next level and it showed by the way he transformed his body. He dedicated himself to the weight room and a healthy diet and the rest is history. Do not be suprised if you hear Chris's name called this June.